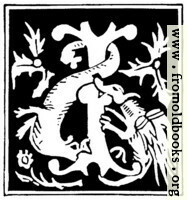 This capital “I” is suitable for use as a drop cap (dropped capital) or a decorative initial; there’s also a small version for an avatar or icon. 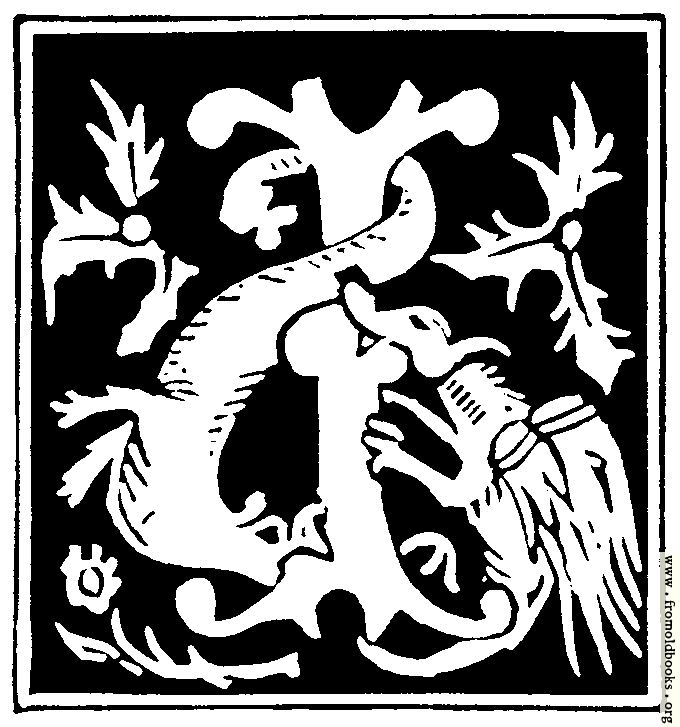 It is taken from a 16th century alphabet, and shows a dog biting a bone while being attacked by jellyfish (? ), and also a lizard, and perhaps some holly in the background.